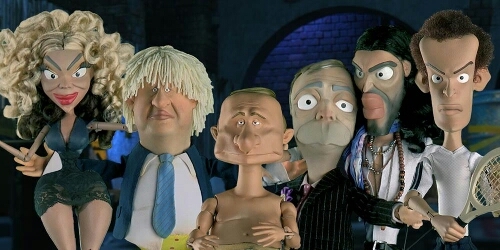 ITV has commissioned new six-part topical puppet animation sketch show, Newzoids. Impressionists including Jon Culshaw and Debra Stephenson will voice and poke fun at pop stars, politicians, sports faces and TV favourites, including the likes of Ant and Dec, Wayne Rooney, Beyonce, Harry Styles, Prince Harry, David Cameron, Ed Miliband, Nick Clegg, Barack Obama, Russell Brand and Simon Cowell. Newzoids, a co-production for ITV between Citrus Television and Factory, features a groundbreaking mixture of low-tech traditional puppetry and state of the art animation to put a satirical and surreal spin on the stories and celebrities in the news. The writing team consists of a blend of established and up-and-coming talent including Pete Sinclair, Sarah Morgan, Madeleine Brettingham, Gabby Hutchinson Crouch, Colin Swash, Annabel Port, Dan Gaster, Carey Marx, Tom Neenan, Jason Hazeley and Joel Morris.